"Carl and Richard talk to Clemens Vasters about his latest work at Microsoft around making the Internet of Things (IoT). Clemens starts with a definition of IoT, describing massive numbers of devices sharing data seamlessly... and confusing people at the same time. What's an IoT device and what isn't? The conversation digs into the challenges around connectivity, thinking through the architecture and security necessary to deal with huge numbers of occasionally connected devices with data demands - such as cars! Clemens explains very nicely how to solve security and performance limitations of IoT devices: by using them connected as clients to a messaging (queue) service. Every message can get encrypted by a key that can be embedded in hardware (chip), and is only known to the corresponding service. The messages could be sent to IoT devices queue with "Time to Live" if they are time critical, and if there is temporary loss of connection of changing of IP address that does not affect communication at all. Brilliant, simple, design! 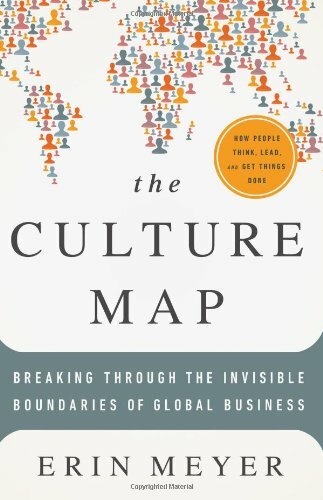 ideas, book: "The Culture Map"
"The Culture Map: Breaking Through the Invisible Boundaries of Global Business"